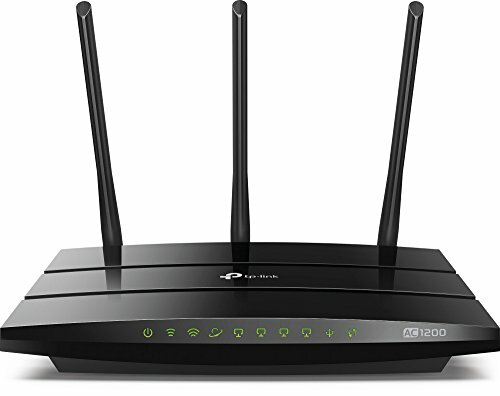 Upgrade to AC WiFi for your bandwidth-intensive devices with the dual-band AC1200 wireless router Archer C1200. Supports all smart devices, including Amazon Alexa, Google Home, TP-Link smart home plugs, Phillips Hue, Arlo cameras, etc. Allocate your streaming devices to AC for 3x the speeds of Wireless N. Gigabit Ethernet lets you experience wired speeds 10x times faster than Fast Ethernet. Also you can use TP-Link Powerline AV1000 or above to extend your wired coverage. Simple setup through web browser or on your mobile device. Easily set time limits and keep children safe with parental control. Quickly connect devices to WiFi with WPS setup (if supported by your devices). Access connected devices while away from home with FREE TP-Link DDNS Service. Conveniently provide WiFi access to visitors with the guest network. Manage your WiFi settings from anywhere with the TP-Link Tether app (Android, iOS). This router dosen't support WDS. Actual data throughput and WiFi coverage will vary from network conditions and environmental factors, including the volume of network traffic, building material and construction and network overhead, result in lower actual data throughput and wireless coverage.